The question over last winter was whether I would be hiking at all in 2018. After cancer surgery and hormone therapy, would I have the strength and continence to hike? Fortunately, I became continent fairly quickly and the strength slowly returned. I did a couple of day hikes at altitude then continued my mapping of Lewisia leeana in the John Muir and Dinkey Lakes Wilderness areas. 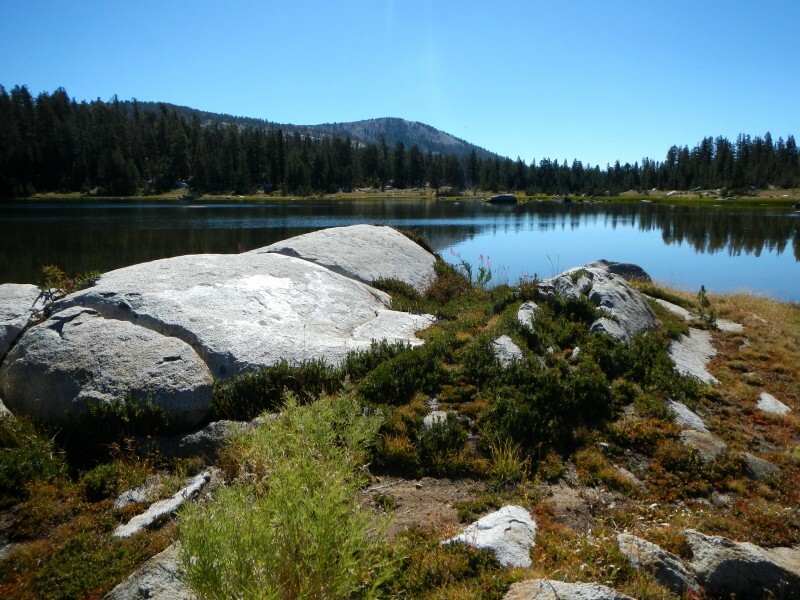 The purpose of this trip was to see if Lewisia leeana grows on a route connecting Duck Lake with Chain Lakes. The short answer is no. Had I gone up in elevation rather than staying at the same elevation as Duck Lake, I might have had success. Instead I was challenged in places by dense brush and tongues of talus. Those can probably be avoided by taking a higher route. I did manage to see some spectacular stands of Lewisia leeana as shown in the photo below. 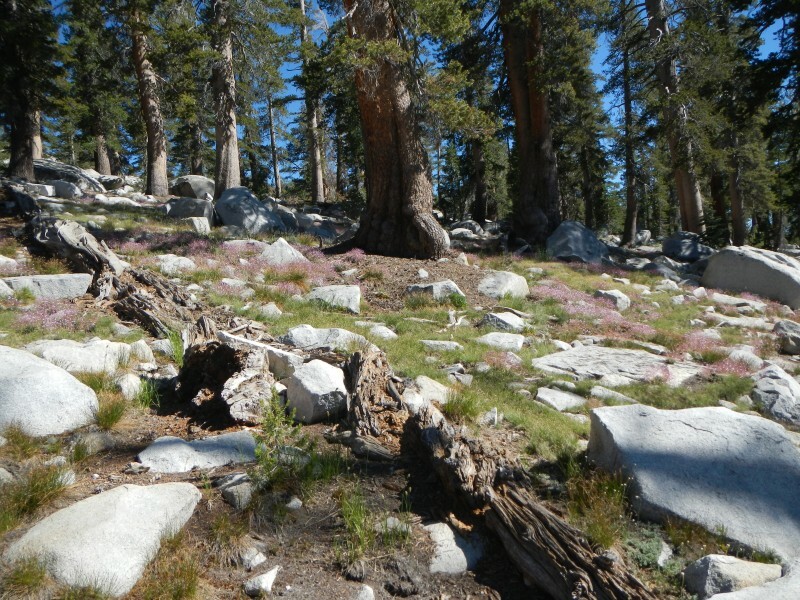 A beautiful stand of Lewisia leeana north of upper Chain Lake. I returned to Dinkey Lakes, the holy land of Lewisia leeana, and was not disappointed. It was a rainy trip, but I spent a couple of days exploring new territory. Day two took me east of the Three Sisters to a basin above Cliff Lake. Not too many people have visited the area and there were enough flowers to be seen to make the day worthwhile. 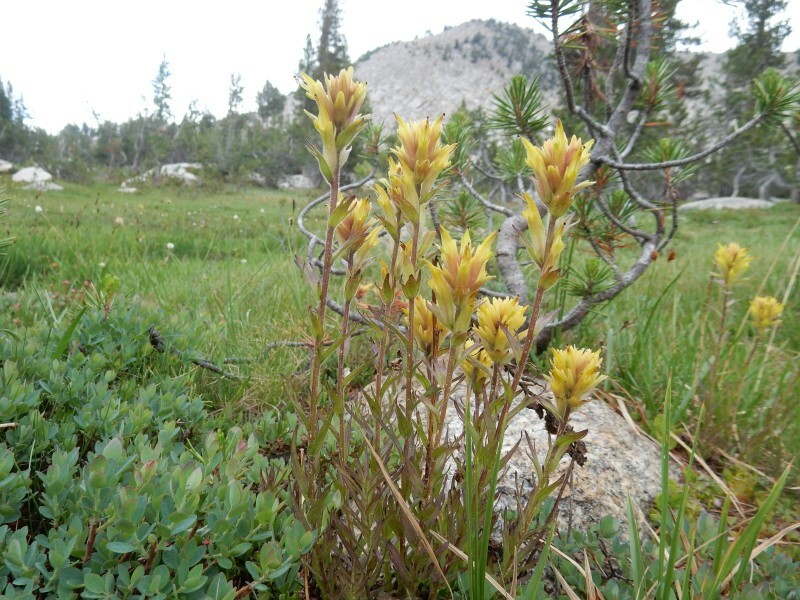 Peirson's Paintbrush, Castilleja peirsonii, a new species to me, north of Three Sisters East in the background. 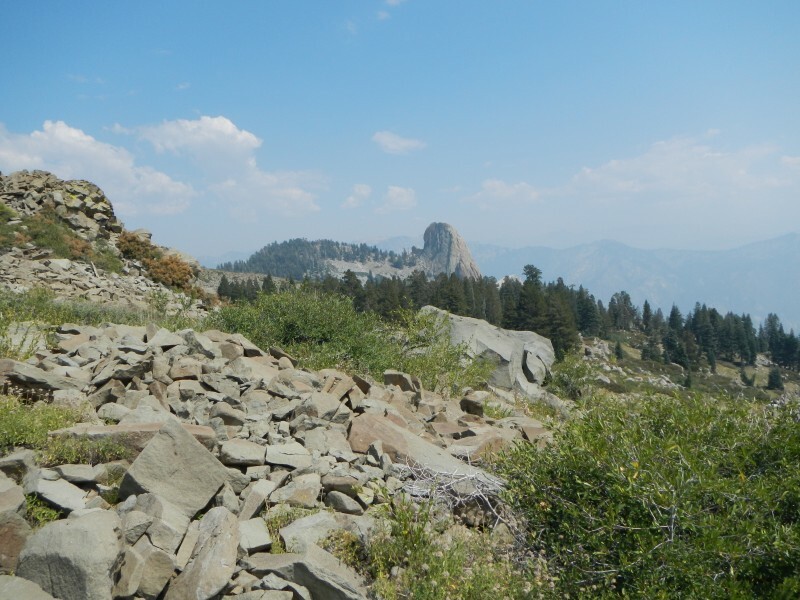 Day three involved a trip to Black Peak at the north end of the Dinkey Lakes Wilderness. 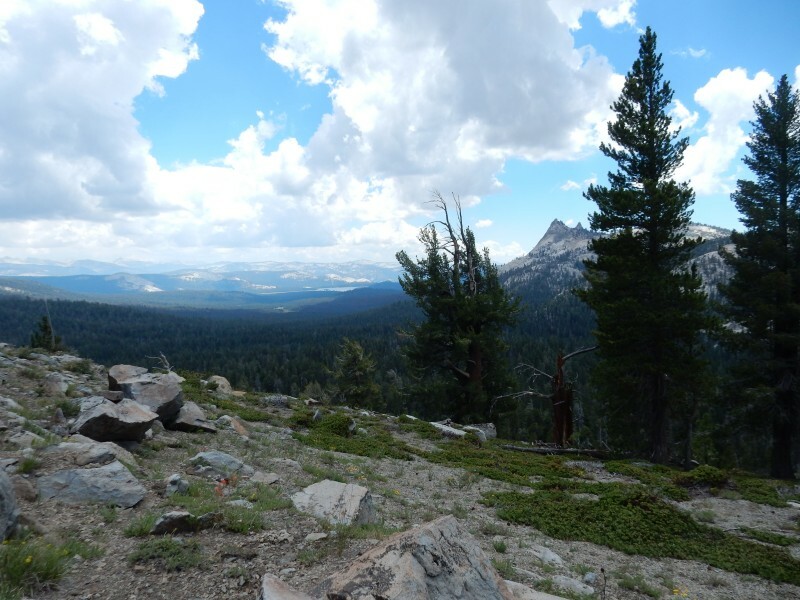 Much of the trip was through lodgepole pine desert and next to a large dry meadow. I was rewarded with a few observations of Lewisia leeana as well as other drought tolerant plants such as frosted buckwheat, Nuttall's sandwort, and pussypaws. I climbed to the base of the volcanics that top Black Peak without seeing the Lewisia leeana that is reportedly there. I was rewarded with an amazing variety of plants as I ascended from 9,200 feet up 9,700 feet. View to southeast from the south flank of Black Peak showing Courtright Reservoir and Dogtooth Peak. This year's HST Meetup was at Grinnell Lake which required traveling to Edison Lake and taking the ferry to Mono Creek. 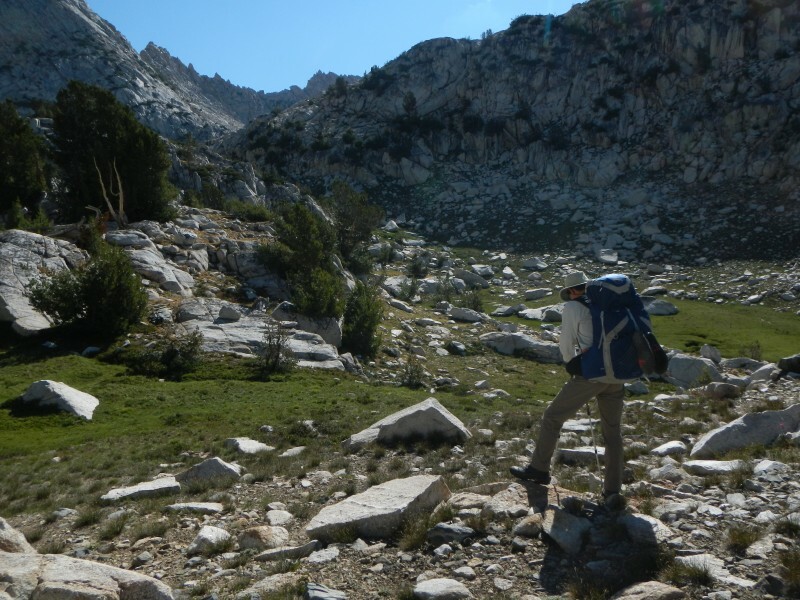 This trip was a test of my strength and ability to traverse steep cross country terrain. Steep cross country section leading from Laurel Lake to Grinnell Lake. I met several fellow HST members and we enjoyed each others' company for a couple of days. This was my first trip north of Mono Creek in 30 years and I found the country absolutely stunning. 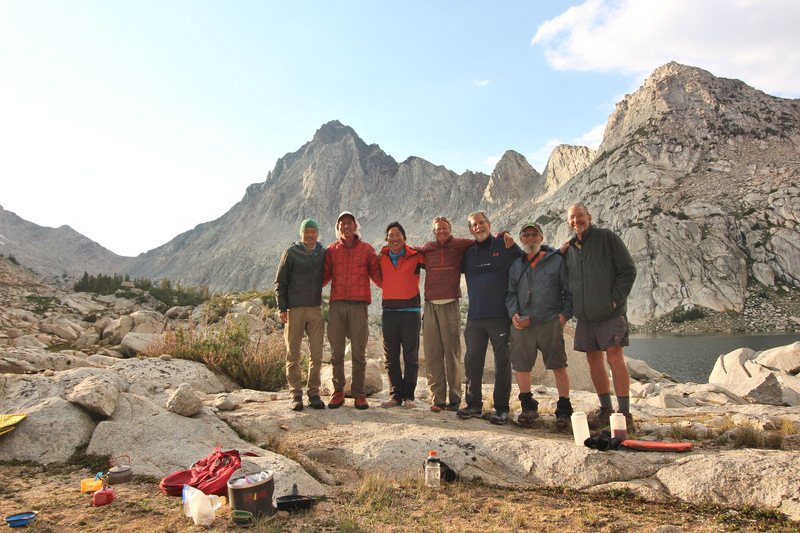 Meetup group in front of Grinnell Lake and Red and White Mountain. I had a feeling that the north facing slopes west of Spanish Mountain might host some Lewisia leeana and I wasn't disappointed. I managed to make it to the outlet of Little Spanish Lake on the first day which turned out to be a below average place to stay. On leaving my camp the next morning, I found a better camp spot on the south side of the lake. Day two brought me to Twin Lakes and the Lewisia leeana I was expecting. The lakes were so pretty I spent the entire day taking photos and relaxing there. Upper Twin Lake showing metamorphics which are found in the area near Spanish Mountain. I wasn't sure if I could make it to the ridge to the south but on the third day I found it was no major problem. I was rewarded with a ridge with abundant Lewisia leeana. I followed the ridge to the base of Spanish Mountain and looped around to upper Geraldine Lake where I spent the next two nights. On day four I hiked toward the Obelisk and found a single small occurrence of Lewisia leeana close to the pass into the Middle/South Fork Kings drainage which could indicate L. leeana's eastern limit in this area. The Obelisk from the ridge crossing between North Fork Kings and South/Middle Fork Kings. One of the guys I camped with at Geraldine Lake had been going there since he was in grade school because his father owned an interest in the Obelisk tungsten mine. This was planned as a five day trip to Blackcap Basin. The heel of one of my boots did not cooperate. On day two I was near Crown Lake and noticed the crack in the boot and that the heel was coming loose from the upper. 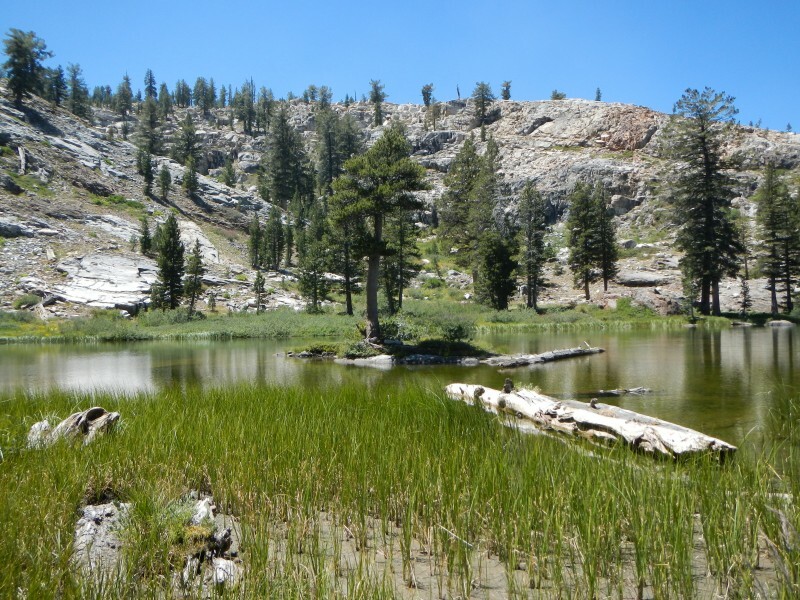 I carefully walked to Chimney Lake then home the next day. Fortunately, the boot stayed together all the way back to the trailhead. I tried to strengthen the boot with duct tape but it wouldn't hold. Crown Lake from the west.